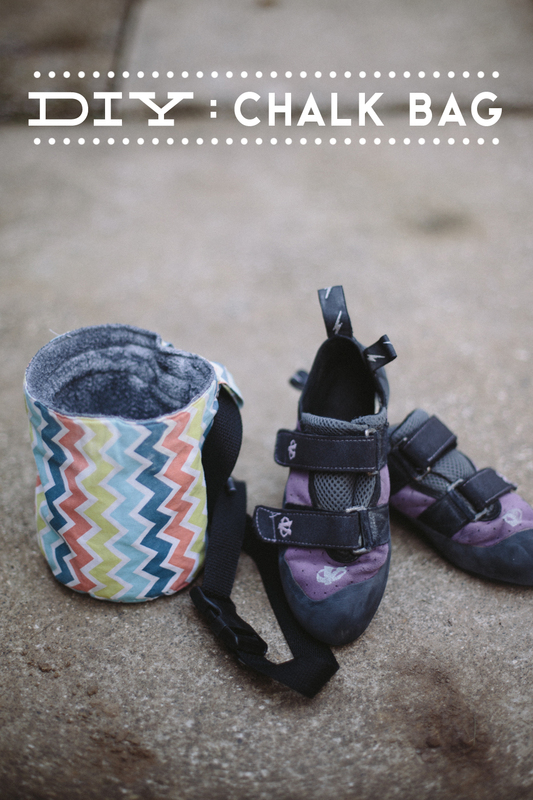 So, this DIY probably won't appeal to most of you, but I wanted to share this project for my climbing readers out there! 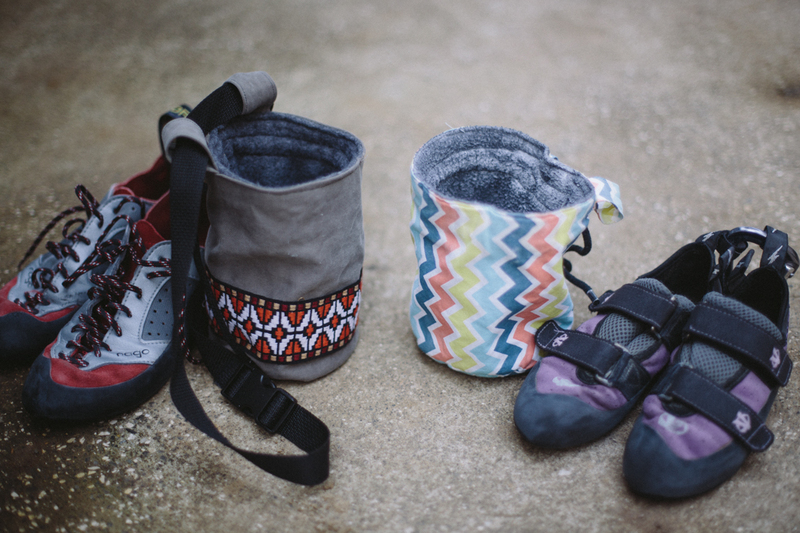 Back when we first started climbing we were renting gear, but as we realized that we were wanting to start climbing consistently, renting all the time didn't make financial sense. 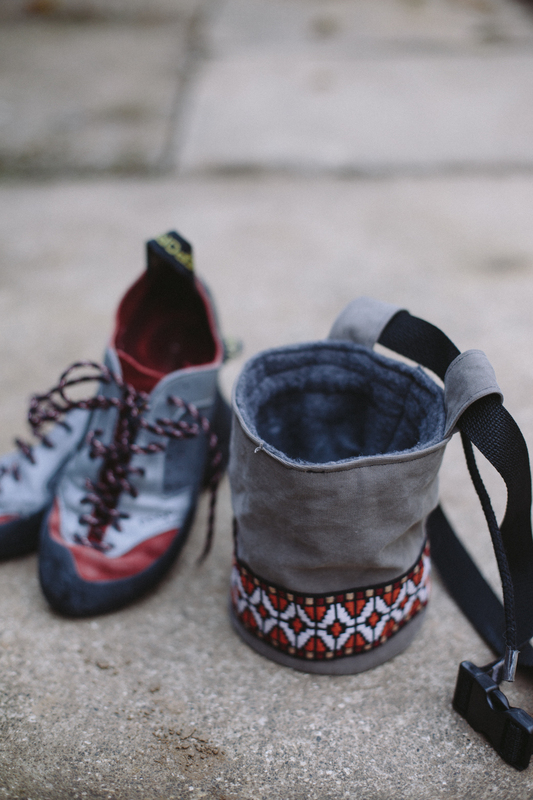 We invested in our own climbing shoes, but chalk bags seemed like an easy DIY, especially since they range from $15- $35... and I'm cheap. I went to Joanne's Fabric, got everything I needed to make one for Dan and one for me and then I whipped one up. And then I didn't make the second one until last Thursday. Since the first one was made without thinking about doing a DIY post I didn't have any photos or anything, but this time I made sure to grab some images while I was working. Fabric for the interior. I used polar fleece. 1. Cut a circle for the bottom of the bag lining. Mine was about 5 inches in diameter. Cut a rectangle for the sides of the lining. Make sure it is a bit longer than the circumference of the circle you cut, and about 10 inches tall. 2. 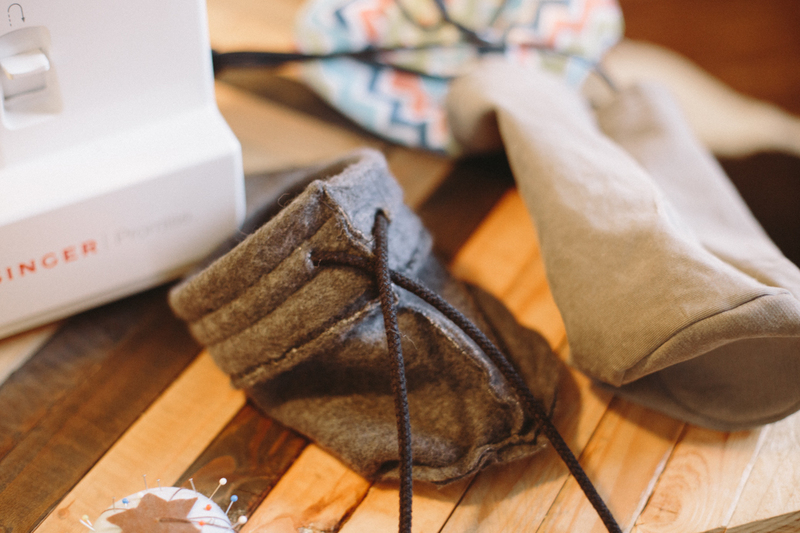 Fold over about 1.5-2 inches and sew two stitches to create a tunnel for the cinch cord. 3. Sew the bottom on to the sides to create a cylinder, making sure that the inside of the cylinder is the finished side (this is the side you'll see). 4. Repeat step 1, this time with the exterior fabric. 5. 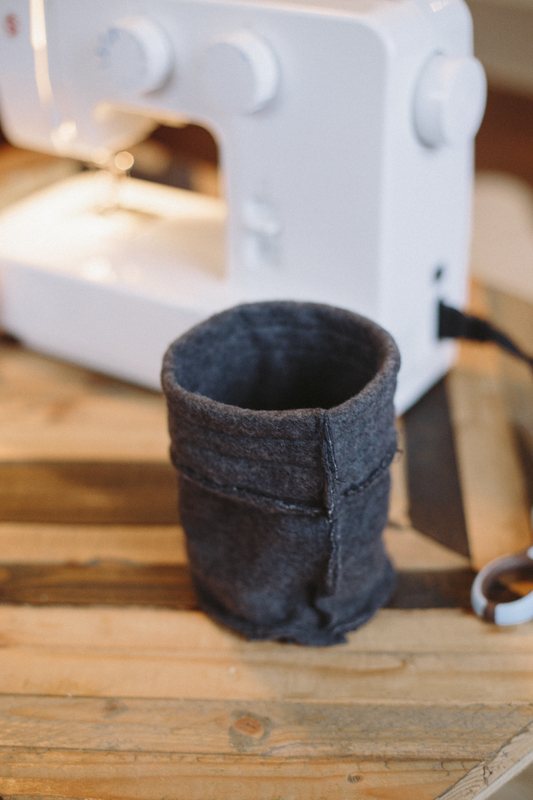 Sew the sides of your cylinder on to the bottom, like you did for the lining. Make sure that your finished side has the right side of your fabric showing. Turn the cylinder inside out. 6. 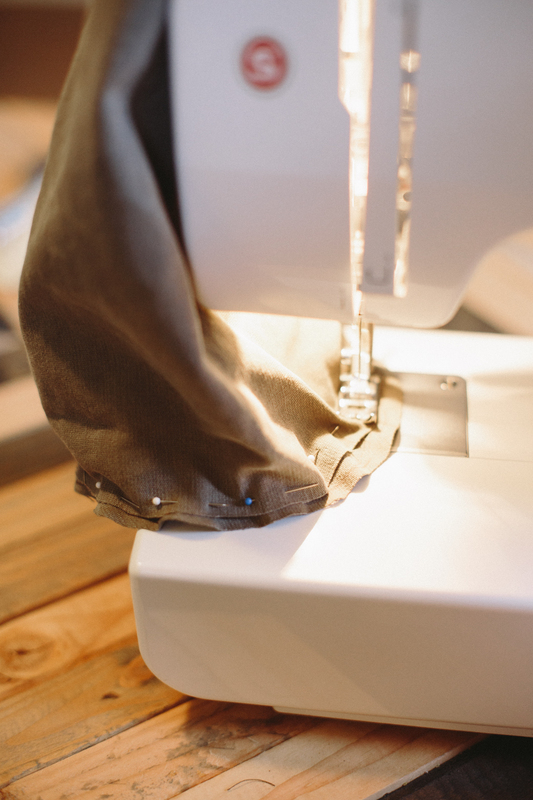 If you're putting a cinch cord in, cut two small holes by the seam in both your lining (in the path you made for the cord) and your exterior, on either side of the seam. 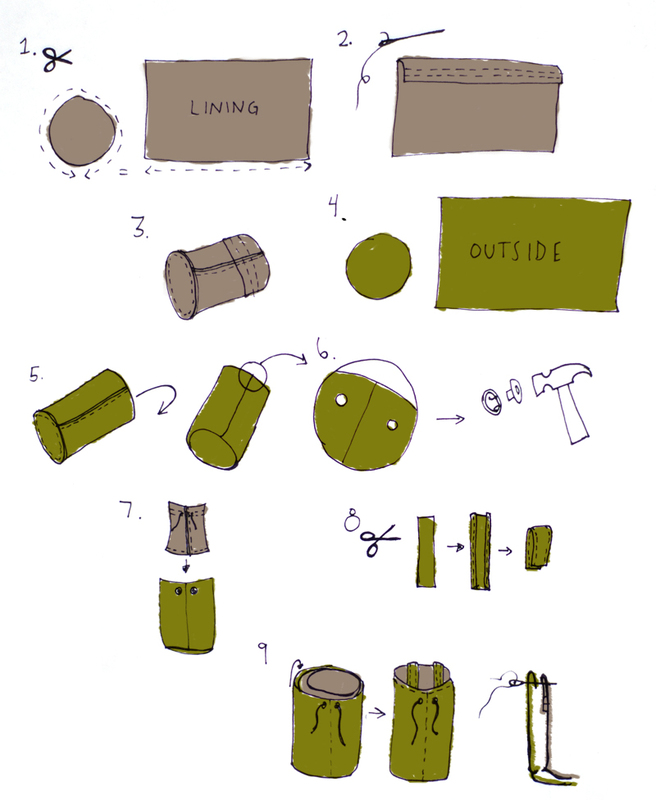 Place your eyelets in the holes in the exterior. 7. 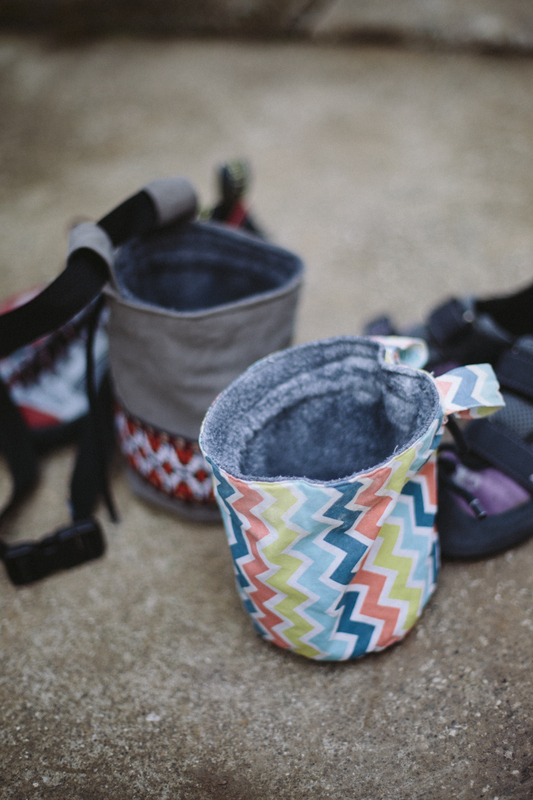 Put the cord in the lining, through the path you sewed, and then put the lining inside the exterior, making sure they're both fit together tightly in the bottom. Pull the cinch cords out of the eyelets in the exterior. 8. To make the loops for your belt to go through, cut two long rectangles and then fold the edges over and stitch the edges down to make them look finished and nice. 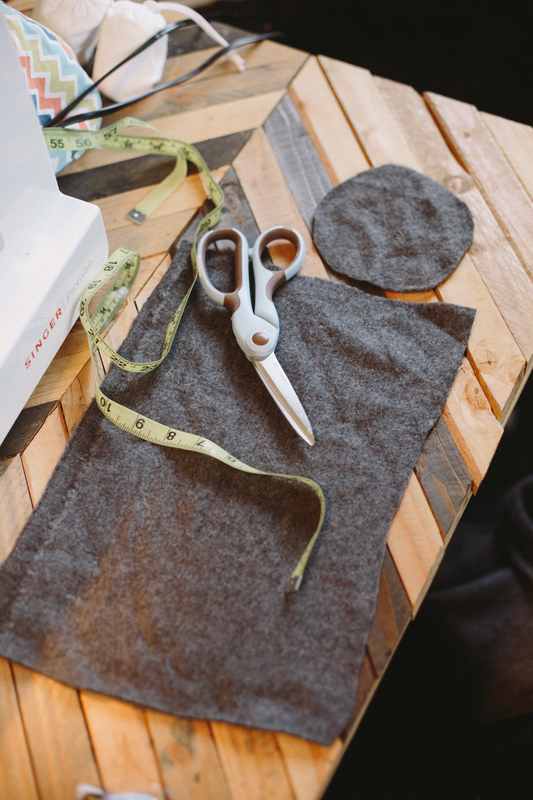 The length depends on how wide your belt is, but make it a bit longer than you need, to allow for them to be sewed in. 9. Almost done! To finish everything up fold the top edge of the exterior fabric in between the lining and exterior and pin down. Make sure to place your belt loops on either side of the vertical seam. Sew the top seam and you're done!